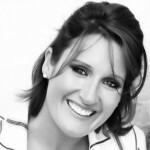 Zoe is the founder and owner of Bolton Associates. As one of the longest standing actuarial headhunters, Zoe has worked with the large majority of managing agencies, insurance companies and consultancies in the market. Zoe specialises in the placement of actuaries, predominantly within the Lloyd’s and London market. Through Bolton Associates, she is able to offer a bespoke hiring solution to suit each individual client, dependent on the level and urgency of the role. Before forming Bolton Associates in 2010, Zoe worked at Eliot Partnership carrying out actuarial assignments across the re/insurance spectrum, utilising her many years of experience and significant network, to deliver full search capabilities to the actuarial market. Throughout her career Zoe has developed strong relationships not only throughout the actuarial market but also across the insurance search and recruitment market. These relationships remain dear, and occasionally fruitful, with Bolton Associates providing specialist actuarial recruitment services, as an affiliate, when required. These long-term Associates contribute to the extensive and far-reaching network that Bolton Associates thrives upon.